There are many routes you can take when developing a content marketing strategy. 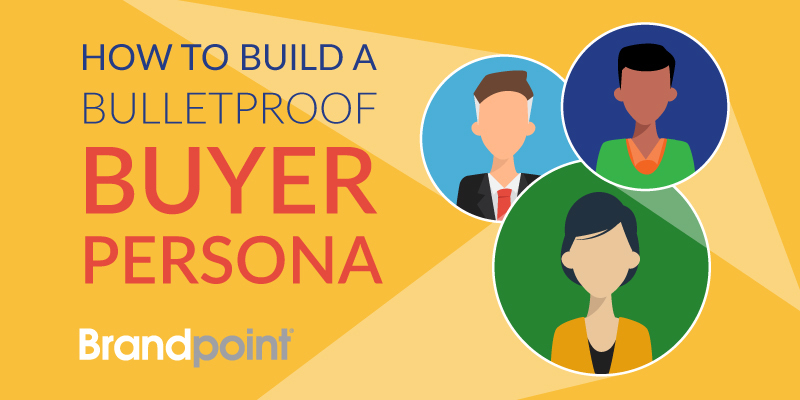 But time and time again, the best place to start is identifying your company’s buyer personas. Buyer personas (also called customer personas) are fictional characters that represent the traits and needs of your ideal prospects and customers, supported by research. You can also reverse that and identify negative, or exclusionary, personas. These are the “bad apples” that could be a barrier to higher sales productivity. 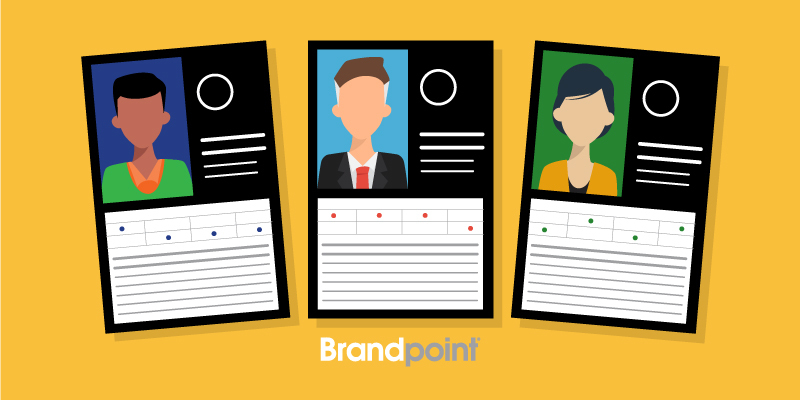 Once you’ve gathered information about each of the personas, you can create a document that resembles a baseball card with a fake photo, name and detailed characteristics to provide a visual element and humanize each general persona. We’ll walk you through the steps of setting up your buyer personas and how to best use them. Think of persona research as if you were writing someone’s profile for a magazine article. Form questions you want your ideal buyer to answer. Especially if you’re just starting out — with no, or very few, customers — begin by conducting market research and analyzing competitors’ messaging to determine what type(s) of customers they are trying to target through their tone, blog topics and level of detail. Check out what your social media followers are saying on various platforms. Take a look at your competitors’ profiles. You may find that different personas use different social platforms (or even the same platforms in different ways). You’ll discover their interests as well as their questions and what they need to succeed. As you develop a customer base, meet or call customers to ask your questions (above), or create surveys and forms to send to both customers and prospects. Experiment with your questions and survey length to find the format that receives the most useful responses. If you’re using a marketing automation platform, it will be easier to collect and organize the data to more easily find distinctions if your business has multiple personas. Those who have direct contact with customers in your organization (sales, customer support, project managers, etc.) will have the most accurate data to share about who your customers are and why they’re attracted (or not) to your business. Each department will have different insights into the characteristics of your customers. Have them help you segment the personas, and then interview staff members about their perceptions and assumptions of each type of customer. 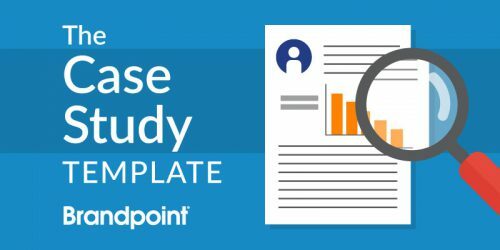 In addition to these qualitative tactics, there are various data points you can also collect to support your buyer personas with numbers. Using Google Analytics, you can discover how customers find your website, the pages they visit and how long they spend on certain pages. Your marketing automation platform can help you capture and dissect this info as well. Some marketing automation platforms can connect with your CRM to analyze your customer data, find trends and segment your audiences so you can create hyper-targeted messaging campaigns. Other platforms specialize in analyzing the buyer journey. Akoonu, for example, integrates with Salesforce to assist with buyer research, fine-tune personas and tailor personalized content experiences. Some tools will also help you with creating persona cards to reference. Venngage, a design resource used by many marketers, offers some great examples of how to visualize your personas. Once you’ve asked your questions and done the research, look for common trends and patterns. You may want to start by identifying one main trait, such as industry or company size, to be the main factor that determines different personas (if there are any). For instance, you may find most customers in the retail industry use your services differently than those in finance. We recommend creating only six or seven personas. 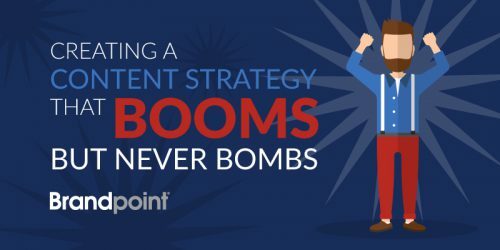 Too many could be overwhelming and confusing as you craft messaging and create campaigns. If you have personas in 15 industries that differ in how and why they seek your business, try to group industries by identifying their most similar characteristics. Once you’ve distinguished your personas and laid them out in a template, give each one a story or a bio to humanize that persona and to feel more connected to them as you create content that answers their questions and needs. John Johnson is a mid-level marketing manager at a small business. He and his team must wear multiple hats and often have too much work and too little time. It takes him awhile to respond to your emails, but he is motivated and wants his team to succeed. Unfortunately, they’ve never been able to meet and discuss a process for creating content, so they’ve had issues with miscommunication, losing files, forgetting ideas and not staying on schedule with projects. His goal is to provide efficiency in all aspects of his team’s marketing practice. This bio is something you can include on your persona card and can be an easy way for people at your company to get to know your customer. Think of it as your cheat sheet. It can be text-heavy, organized in a chart, or designed with more visuals, including charts and graphs, to represent who this person is. It’s also common to include photos and names. Especially for those who think more visually, it’s easier to imagine Tom, the VP of marketing in the consumer goods industry, if they see him wearing a snazzy tie in his photo. Pull out your persona card (or keep them all tacked on your cubicle wall!) as you write. Maybe you’re writing for Tom. Your persona card will help you think specifically about what Tom wants, answering the questions that he has. MailChimp got pretty creative with their personas by designing posters that include a photo and word mural in the background highlighting each of their key traits. Your personas can fuel everything from your lead-generation efforts to your editorial calendar. Each persona will have different needs when it comes to these categories, so each piece of content should satisfy and target at least one persona. Your content should also reflect whether it’s for a prospect or a current customer. For example, a prospect may be toward the top of the sales funnel. They might simply be browsing your website and reading blogs to make sure you know what you’re talking about. They want to see that you’re a leader in your field and have some authority on a topic relevant to them. A customer, on the other hand, already knows you’re knowledgeable and helpful. Though they are experienced with your products or services, they may want to learn more and develop an expertise on certain topics. It’s also helpful to think about how your audience perceives the different content formats you present. Case studies are great for prospects, but lean on testimonials from existing customers that represent each of your personas. That way, prospects can closely identify with one and will get a clearer picture of how your business has helped someone just like them. Creating automated emails and using your marketing automation platform to segment is the easiest way to deliver the right message to the right persona. Whether you’re promoting an event or blog posts, you may decide to send to just one segment, or multiple. Getting to know your prospects and customers will be a continual effort. Over time, as your business changes, your customers may too. You may find that your messaging doesn’t perform quite as well, or others in your organization may provide new insight. Stay conscious of these changes, as they will prompt more research and help you define your personas even further. 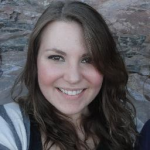 Creating personas is the ideal way to begin crafting your content marketing strategy. Understanding the unique qualities of each audience will help you craft better and more effective messages.